No matter where your talents and interests fall, St. Margaret's has a place for everyone to connect and engage. The Brotherhood is a men’s missionary and evangelism ministry of the Episcopal Church and Anglican Communion. In fact, it is the oldest evangelistic ministry of the Episcopal Church. 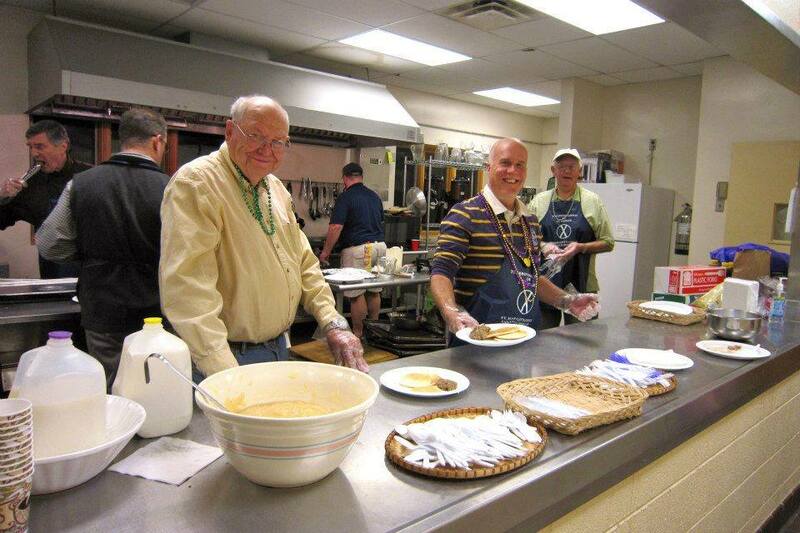 The Brotherhood at St. Margaret’s focuses on service, fellowship and Bible study. From flipping pancakes on Shrove Tuesday to burgers at the annual church picnic, members actively support the mission and parish life of our church. Members meet for Bible study at 7 p.m. on the second Tuesday of each month. If you would like more information contact Jim (Tug) Knorr at tugknorr@aol.com. Every Sunday morning during the 10:15 a.m. formation hour, we offer fellowship and hospitality to our guests, providing coffee and nourishment to an appreciative crowd. Our coffeehour host teams come in, set up, set out the food, welcome attendees, and clean up afterwards. Volunteers are assigned to a specific team which is scheduled on a certain week on a regular basis every other month.New team members are always welcome! For more information or if you would like to sign up, contact Kathy Lang at kathy.lang@verizon.net. Founded in 1885, the mission of The Order of the Daughters of the King is to be an extension of Christ’s Kingdom through daily prayer, service, and evangelism. The All Saints in Prayer Chapter welcomes all women from the Episcopal churches in the greater Annapolis area. Current members worship at St. Margaret’s, St. Philip’s, and St. Martin’s-in-the-Field. They will meet three months at a time, with the day and place agreed upon by the candidates for the discernment class. Following the class, those who desire to become members participate in a service to make their vow and become part of the Order. The vow is a restatement of baptismal and confirmation promises. There are over 22,000 Daughters in the U.S. and around the world. The Order is a caring community of women who support each other in their faith journey and who work to strengthen their parishes. Members find the Order of the Daughters of the King to be a haven in a busy world – a place to be together in Christ’s love. For more information, contact Pam Roth at rothsbythebay@verizon.net. 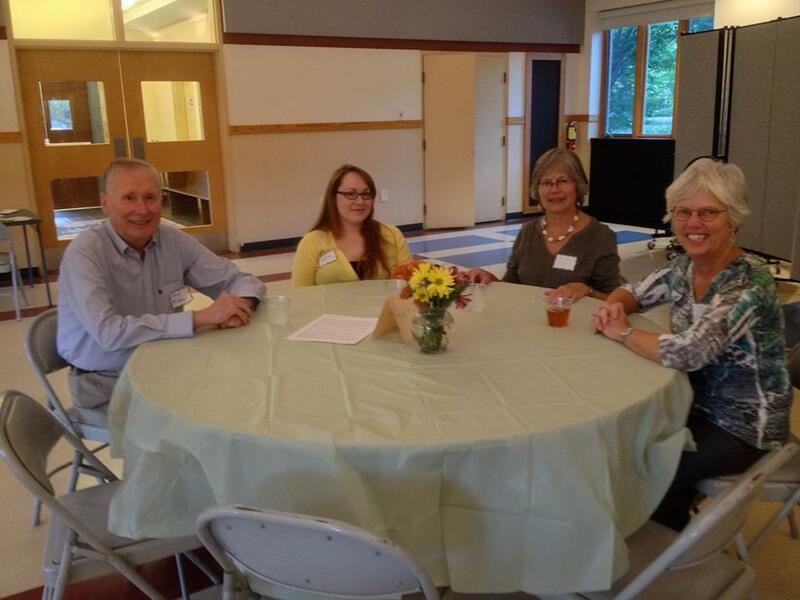 St. Margaret's offers the opportunity for members to participate in foyers, groups that regularly socialize (including adults and families) through planned events throughout the year. Patterned after a concept developed at Coventry Cathedral in England, foyers are small informal groups that gather in individual members’ homes to share a light meal and relaxed conversation. Here at St. Margaret’s we have dozens of people active in assigned small groups of 6-8 people, including singles, couples and families, who meet for three or four lunches or dinners between fall and spring. Participation each year allows parishioners to get to know others with whom they worship on Sunday mornings. For more information, you can contact Vera Torrence at vdtorrence@verizon.net. 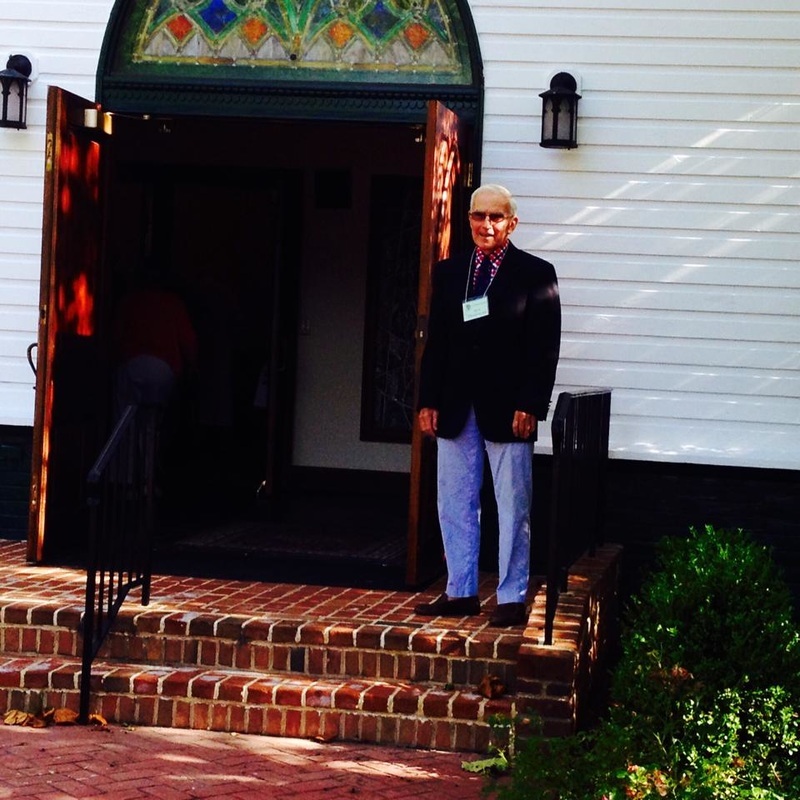 Our greeters are at the front door of the church every Sunday before and after the services. The greeters are there to welcome all who enter, to offer assistance and to answer questions. Our greeters and Newcomers Committee focus on newcomers, striving to make them feel welcome while spreading St. Margaret’s hospitality. For more information or to sign up to be a greeter, email peter@st-margarets.org. Health reminders in The Spire newsletters. For parishioners who are experiencing special challenges and need assistance with furnished meals, we offer a Meals Ministry. It involves a simple way to sign up online and support our brothers and sisters by delivering meals periodically. For more information, contact coordinator Allison Mayer at allisonhmayer@gmail.com. Members lovingly hand-knit shawls for baptismal candidates and those who are grieving, ill or going through a difficult time in life. The Ministry has dozens of members who gather on the first Saturday of each month from 9 to 11 a.m. in the administrative conference room. Hand-crafted beaded cross charms are also used to adorn the shawls as well as a tag with suggested prayers. For more information, contact coordinator Dibble Hammar at dibblehammar@gmail.com. 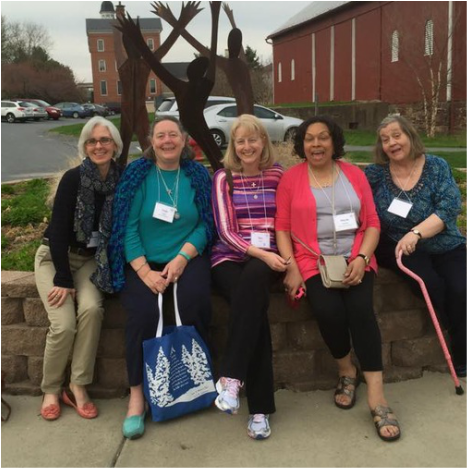 A service and spiritual enrichment group, the Guild is open to all women whether or not they are members of St. Margaret’s. The Guild raises money throughout the year for community and youth outreach programs, and for improvements to St. Margaret’s buildings and grounds.The group meets once a month, the first Wednesday of the month, in the parish hall, at noon to enjoy food (bring a bagged lunch but dessert provided) and fellowship. Guest speakers provide information on a variety of topics of interest. 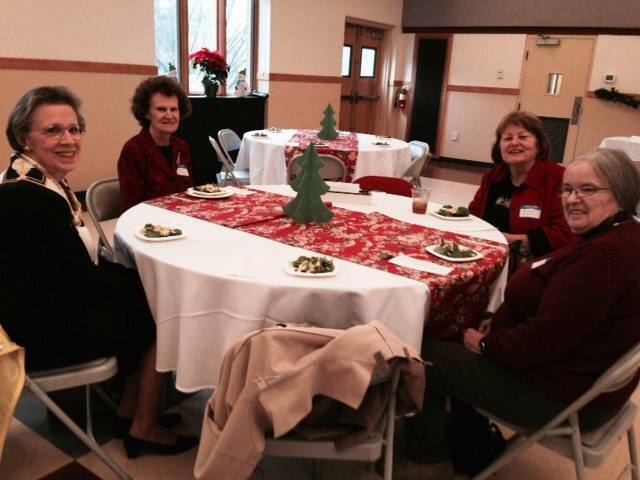 They also sponsor an annual Christmas and Summer luncheon and open it up to all parishioners. If you would like to become a member of St. Margaret’s Guild, contact Pat Hall at pshall1@verizon.net.